Haryana Police Recruitment 2018 News: Haryana Police Recruitment 2018 apply online in coming days (only after official announcement..). Interested and eligible candidates have to submit online application form on or before as per official schedule. The broadcast advertisement of Haryana Police recruitment is given at hprbonline.in. Further information of Haryana Police Recruitment 2018 regarding qualification, salary, fees, age limit and application process etc as release by board……………. Haryana Staff Selection Commission Applications are invited through Online mode only in the prescribed proforma to be made available on HSSC Website from 10.02.2017 to 28-02-2017 for recruitment to the following posts. Pay Scale : Rs.21,700-Level-3, Cell-I. Educational Qualification : The minimum educational qualification for a candidate to be eligible for selection as constable shall be 10+2 for all categories. 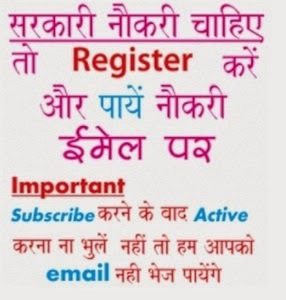 Application Fee : The fee should be deposited through Net banking or e-Challan in any branch of State Bank of India, State Bank of Patiala, Punjab National Bank and IDBI Bank etc. available on payment site Candidates are advised to choose their mode of payment i.e. Net banking or e-Challan while applying online. How to Apply? : Interested eligible candidates should apply Online only Any other mode of submission of application would not be accepted For detailed advertisement & procedure log on to www.hryssc.in Online submission of application will start from 10/02/2017 and close 28/02/2017 However last date of payment of Application Fee will be 02/03/2017.